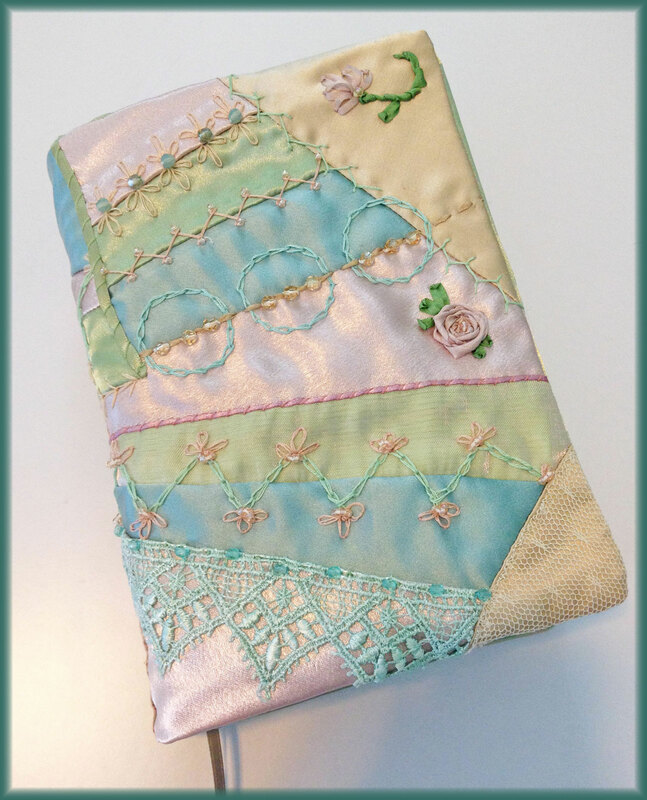 This brand-new, step-by-step tutorial combines the art of crazy-quilting with a simple book cover, resulting in a gorgeous one-of-a-kind project! In part one, you’ll learn how to draft a custom pattern to fit any book, make a mockup to ensure a perfect fit, and plan your crazy-quilt design. 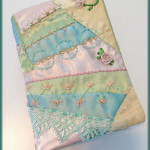 In part two, you’ll create a beautiful crazy-quilted panel and embellish it with all manner of embroidery and beadwork. Then you’ll assemble all the layers together. In the end, you’ll have a custom piece that’s sure to be a conversation-starter! This entry was posted in News and tagged Embellishment, News, Tutorials. Bookmark the permalink.